"Please sir, may I have some more... cheese? ", our little mouse seems to say. 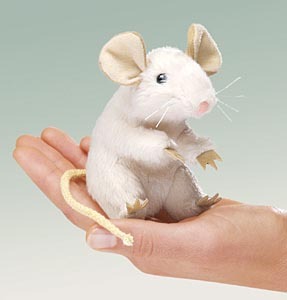 This delightful finger puppet measures 4" tall.